This is a great use of that rice you get from Chinese takeout leftover in the fridge. You can also use a simple minute-style rice or a long grain white rice. 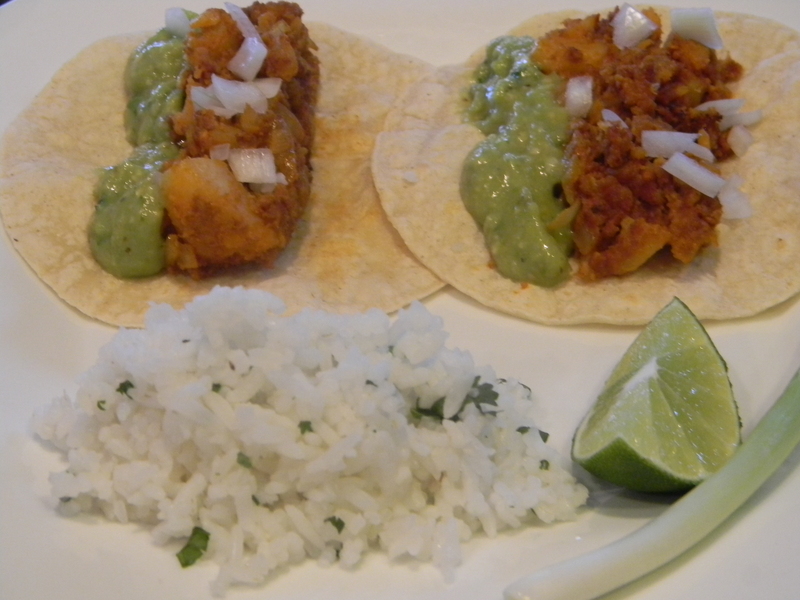 It is a great side dish to compliment fish, Mexican foods, or even chicken. 1.) Stir all ingredients together to combine. 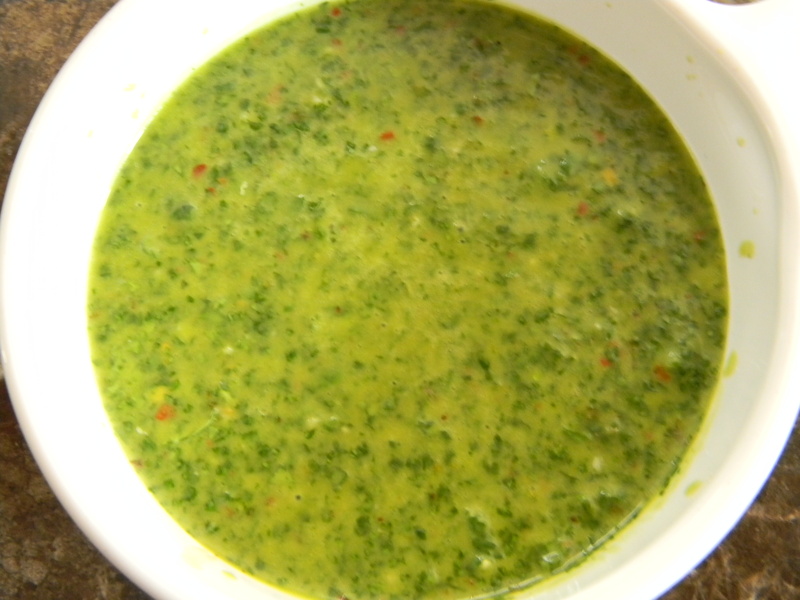 Tonight we will be serving this vibrant green sauce with grilled pork chops, gazpacho, and crusty bread. 1.) 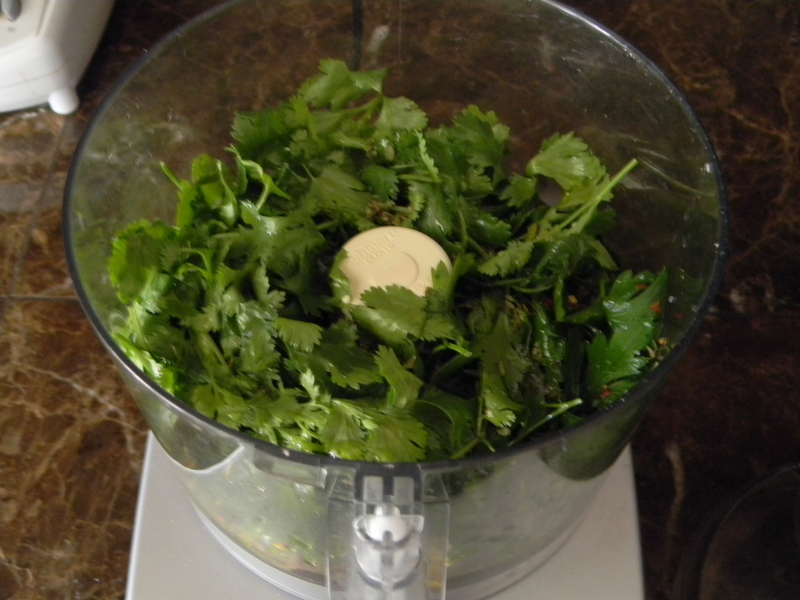 Place the parsley, cilantro, and garlic in the bowl of a food processor or blender and pulse until well chopped. Add oregano, red pepper flakes, red wine vinegar and pulse to combine. Add olive oil, season with salt and pepper and pulse again just until combined. Place in a small bowl and serve at room temperature.